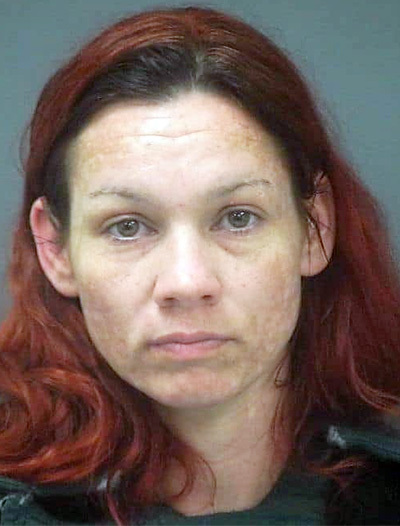 An Escambia County grand jury has indicted Mary Barbara Craig Rice for first degree murder in the death of Kayla Crocker in Beulah and accessory after the fact for the homicides of Alicia Greer and Jacqueline Moore at the Emerald Sands Inn in Santa Rosa County. Crocker was found by her mother on February 6, 2017, with a gunshot wound to her head. 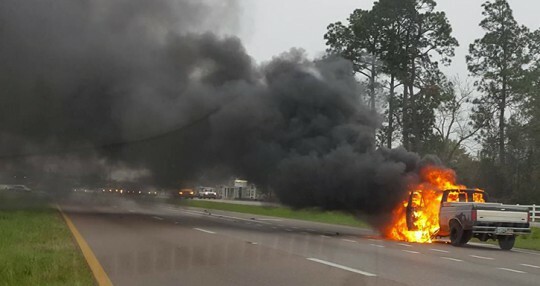 Rice is scheduled to make a first appearance in Santa Rosa County on March 1, 2017 and will be arraigned on March 10, 2017 in Escambia County before Circuit Judge Joel Boles. Rice was arrested after surrendering peacefully at Georgia hotel. She was an accused accomplice of quadruple murder suspect William “Billy” Boyette, who took his own life in Georgia rather than surrendering to authorities. 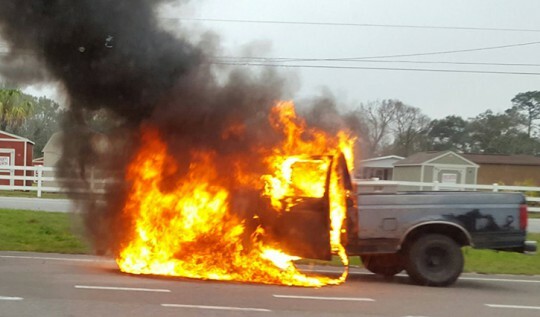 The morning commute was slowed by a vehicle fire this morning on Highway 29 near Roberts Road. 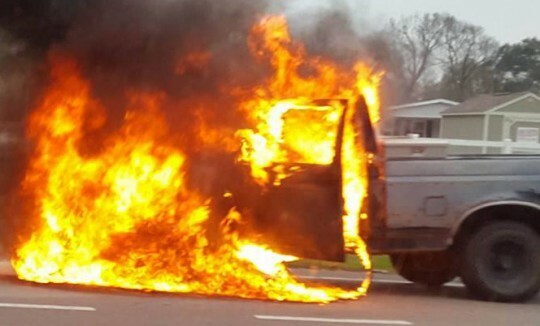 There were no injuries reported. Reader photos by Dorreen Allen for NorthEscambia.com, click to enlarge. Tuesday: Partly sunny, with a high near 80. South wind 5 to 10 mph. Tuesday Night: Mostly cloudy, with a low around 65. South wind 5 to 10 mph. Wednesday: A 30 percent chance of showers and thunderstorms. Mostly cloudy, with a high near 80. South wind 10 to 15 mph. Wednesday Night: Showers and thunderstorms likely, mainly before midnight. Mostly cloudy, with a low around 51. Southwest wind around 10 mph becoming north after midnight. Chance of precipitation is 60%. Thursday: Mostly sunny, with a high near 64. North wind around 10 mph. Thursday Night: Partly cloudy, with a low around 41. North wind 5 to 10 mph. Friday: Sunny, with a high near 66. Northeast wind 5 to 10 mph. Friday Night: Partly cloudy, with a low around 42. Northeast wind around 5 mph. Sunday: A 20 percent chance of showers. Mostly cloudy, with a high near 71. Sunday Night: A 20 percent chance of showers. Mostly cloudy, with a low around 58. Monday: A 40 percent chance of showers. Mostly cloudy, with a high near 74. 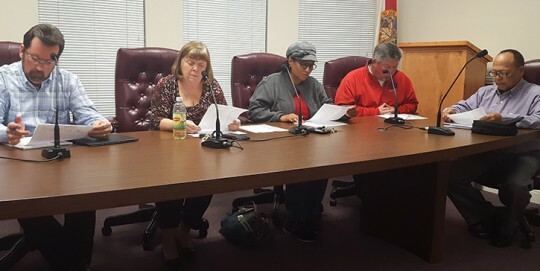 A week after the Century Town Council reversed pay raises for all employees that were given by the mayor, the council sat down Monday night with Mayor Henry Hawkins to discuss employee salaries and future potential raises. After taking office in January, Hawkins gave each employee 53-cent per hour pay increase. The money to fund the 53-cent per hour pay increase for each employee came from the salary of street department employee that quit in January and was not replaced. Hawkins said that since the funds were already budgeted for salaries, he simply divided the salary among the remaining employees. “It was money already allocated; it was money already budgeted,” Hawkins said, defending his actions, as Council President Ann Brooks disagreed. She said Hawkins is limited to spending just $200 for non-emergencies by the town charter, forcing the council to take back the raises. “To give the men a raise and then take it back is really like a kick in the teeth,” Water Superintendent Alicia Jernigan told the council on behalf of her department’s employees. “We have people that work for the city, and it’s embarrassing to say, they get food stamps…We do not pay no where close to what anybody else is paying, period, nowhere. There is not a job here that anybody do [sic] that’s not worth at least $15 an hour. 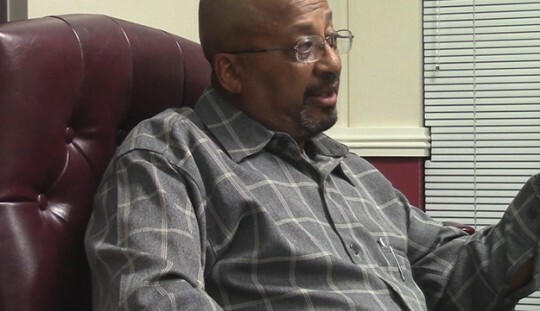 And all I am saying is we have to step up and take care of our people as they take care of this town,” Hawkins said. “That’s not a reasonable rate of pay,” Brooks said of the $15 per hour for every employee. Brooks said town employees were given a two-percent across the board pay hike the beginning of the fiscal year. She told Hawkins that time to negotiate any raises is during the budget setting process . 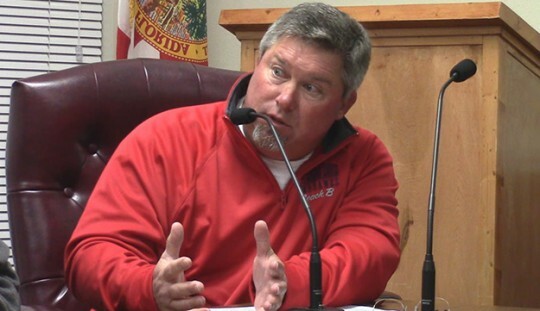 Council member Ben Boutwell reminded Hawkins and the town employees present at Monday night’s meeting that the town charter and budget process must be followed. The Town of Century currently has 19 employees, plus five paid council members ($3,606/yearly each) and a paid mayor ($9,836/yearly). The lowest paid employee is a citizens services clerk hired last September that makes $8.21 per hour, just barely above minimum wage ($8.10). A second citizens services clerk, hired over a year ago, makes $9.58 per hour. The other 17 employees are paid in excess of $10 per hour. The highest paid employees — the town clerk, street supervisor and water superintendent — each earn $21.30 per hour. Century employees can also earn up to five weeks paid vacation plus a additional four weeks paid sick leave annually. It is special election day in Century, with polls open at the Century Town Hall from until 7 p.m. As of 3 p.m., 90 votes had been cast in person, and 48 vote by mail ballots had been received. There are 986 registered voters in Century. Kevin Stead and Luis Gomez, Jr. are facing off for the Seat 2 on the town council, a non-partisan office. 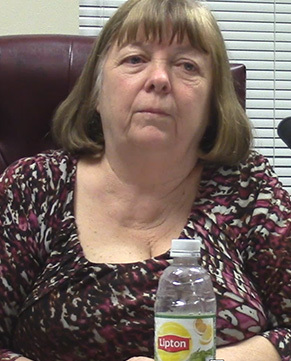 Stead currently holds the seat on an interim basis, appointed as the temporary replacement for Annie Savage, who passed away in late October. Tuesday’s election will fill the seat until the end of Savage’s term in January 2021. The winner will be sworn in Friday night, March 10, at 7:00. 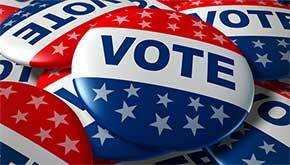 NorthEscambia.com will have election results shortly after the polls close on our Facebook page (click here). 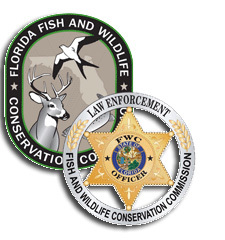 The Florida FWC Division of Law Enforcement reported the following activity during the weekly period ending February 23 in Escambia and Santa Rosa counties. While patrolling the Yellow River WMA, Officers Mullins and Roberson observed a vehicle parked on a wood line without a tag. 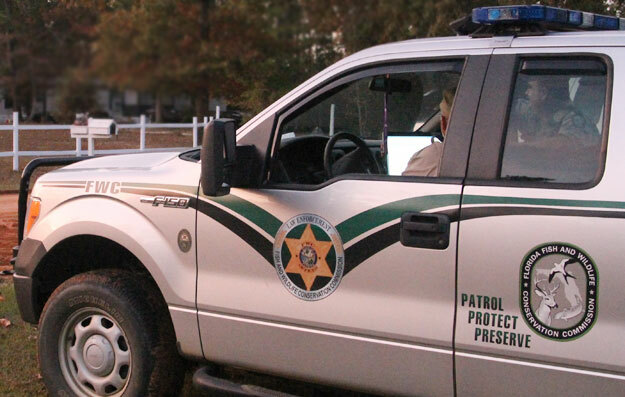 They positioned themselves so that they would see the vehicle pull back onto the trail and conducted a traffic stop for no tag and transitioned into a resource inspection once they determined the subject had been hunting. It was discovered that the subject was hunting with a center-fire rifle during the archery/muzzle-loader season. They subject was issued a misdemeanor notice to appear for hunting with a center-fire rifle during archery/muzzle-loader season only and a warning for no tag. While on patrol in the north end of Eglin WMA, Officer Ramos conducted a traffic stop on a vehicle that appeared to be road hunting. A strong odor of cannabis came from the driver’s window while Officer Ramos was speaking with the driver. 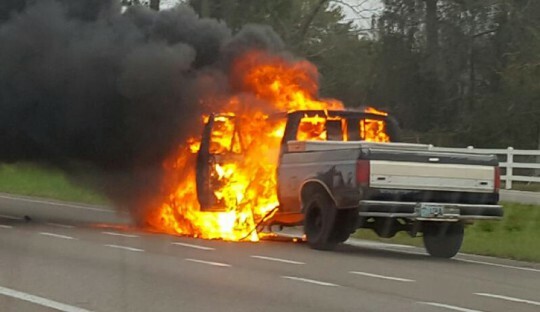 After further questioning, the driver admitted to having a “one hitter” in his pocket and promised that was all he had. With the driver out of the vehicle, Officer Ramos continued to smell the odor of cannabis and eventually the driver admitted to having more than just the “one hitter” in his pocket. Officer Ramos recovered nearly nine grams of cannabis, four various smoking devices with cannabis residue and miscellaneous paraphernalia from the vehicle. The man was cited accordingly and given a notice to appear in court. 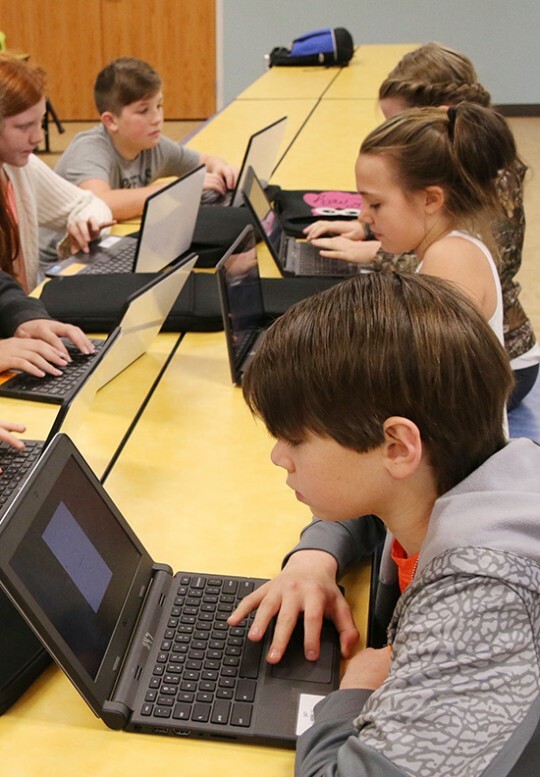 Chromebooks are hit at Ernest Ward Middle School. That’s the word from several Ernest Ward students that recently had the chance to take part in an impromptu meeting with Escambia School Superintendent Malcolm Thomas about the program that puts a Chromebook computer in the hands of every student. 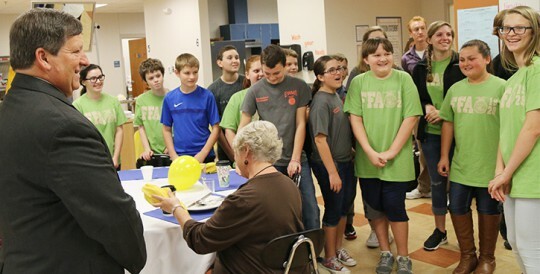 “I love having everything in one place,” another student told Thomas. Several students said they like having all of their school books on one computer, rather than dragging around heavy printed books for each class. When asked about internet access issues, one student said she does not have internet access for her Chromebook at one parent’s house. But she said she uses the internet service on her phone to run the Chromebook and do her assignments. Students with no home internet access are able to download assignments and needed materials at school before they head home each day. 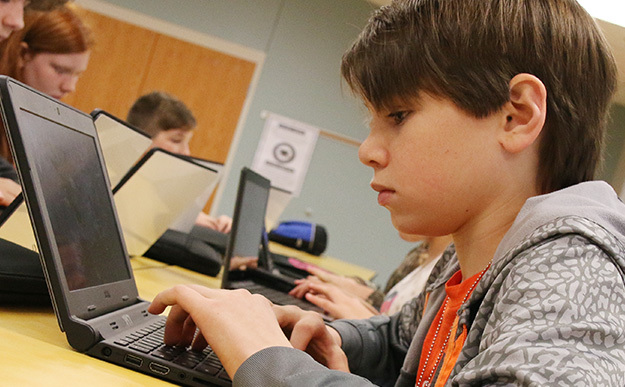 The students at Ernest Ward Middle School have had their Chromebooks since Christmas break. Pictured top: Escambia School Superintendent Malcolm Thomas (left) listens to a group of Ernest Ward Middle School discuss their new Chromebooks. 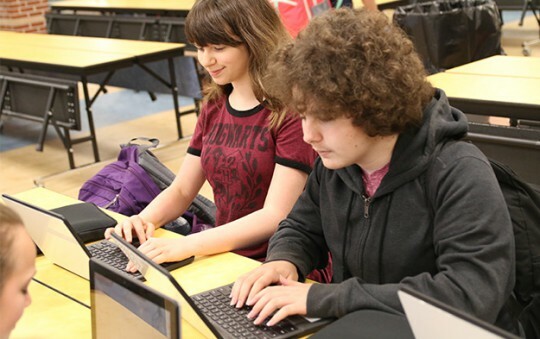 Pictured inset and below: EWMS students work on their Chromebooks in the cafeteria before school. NorthEscambia.com photos, click to enlarge. Five Northview High School students recently won bicycles donated by Century Correctional Institution in an essay contest. Students were given the opportunity to write an essay on “What It Means to Be a Northview Chief’. Winners were (pictured L-R) Emily Heard, Lexxi Baggett, Savannah Steadham, and Alyssa Bell. Not pictured is Kristen Johnson. Tate High School placed third at the Region 2A Region 1 wrestling tournament this weekend. First place went to Lincoln High with 14 wrestlers competing. Second place was Pace High with 12 wrestlers competing. Tate, in third, had just seven wrestlers competing. 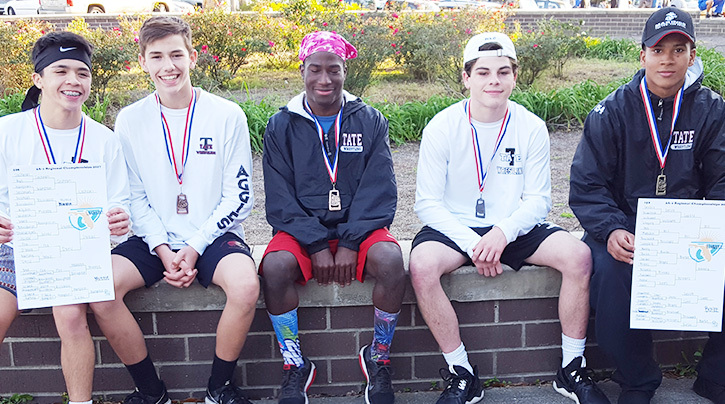 All five Tate wrestlers will advance to the state competition in Kissimmee this weekend. Century Little League will hold a final registration Tuesday from 5-7 p.m. at Showalter Park. Registration will only be open for that two-hour period. No early or late registration will be accepted. There are open spots available at all age groups, however, the spots are limited and are on a strictly first-come basis. There must be a legal guardian present to sign paperwork.